I always love looking back on our photos, and as my kids grow, I love different photos for more and more reasons as they grow and change. I made the decision to have photo sessions include your collection of images in the cost so you wouldn't have to part with any photographs you might later fall even more in love with. I also offer high quality prints, canvases, upgraded albums and other printed products in addition to your digital images, because as lovely as it is to have them all with you, a flash drive doesn't hang well on your wall. The first days having a newborn can feel overwhelming and exhausting, and the idea of leaving the house may even be a little terrifying. This is why I come to you for your newborn photos. 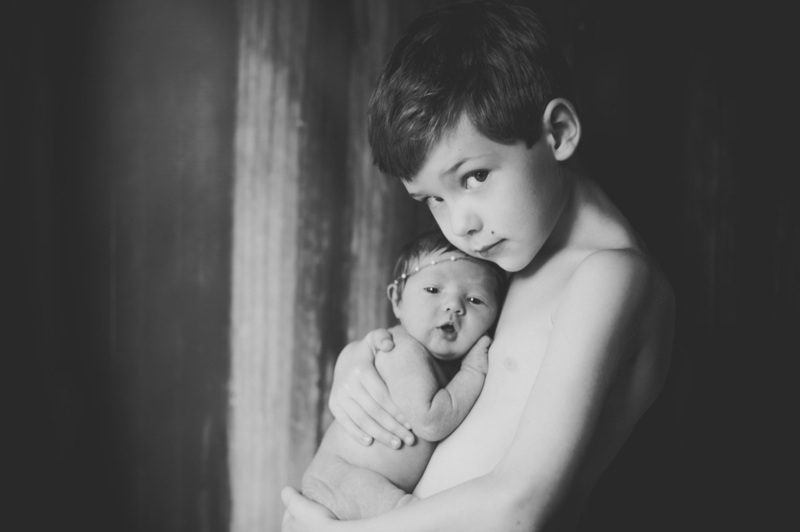 I offer a combination of posed and lifestyle images of your new baby and family. Session features your brand new bundle, as well as your family. Sessions typically last ~3 hours. Includes edited high resolution digital images (50+). In-home lifestyle newborn sessions focus on the connection and love that family members have for this new life. Snuggle up with your baby, siblings, pets; whoever makes your family yours. Session features your brand new bundle and your family. Sessions typically last 1-2 hours. Includes edited high resolution digital images (25+). Available year round. A fully custom experience, designed around what makes your family tick. From choosing outfits, to picking the perfect locations, this adventure is about you. Session for immediate family members, usually lasting 60-90 minutes. Includes edited high resolution digital images (50+). Extended Family Sessions are also available year round. The first month is a blur of exhaustion and diapers. Then they smile at you the first time and life immediately moves into fast-forward. Suddenly they’re 3 months old and a bundle of personality. Photographed in your home or outside in beautiful Colorado. Milestone Sessions are available for baby’s first year. Bundle them by months or milestones (3/6/9/12, 4/8/12, 6/12), and save on each session. Includes edited high resolution digital images (25+). Click Learn More to contact me below. I would love to hear about your kiddo’s journey. Sign up with your email address to be the first to receive information on seasonal sessions and updates. We respect your privacy. Newsletter is a monthly email. No obligation.